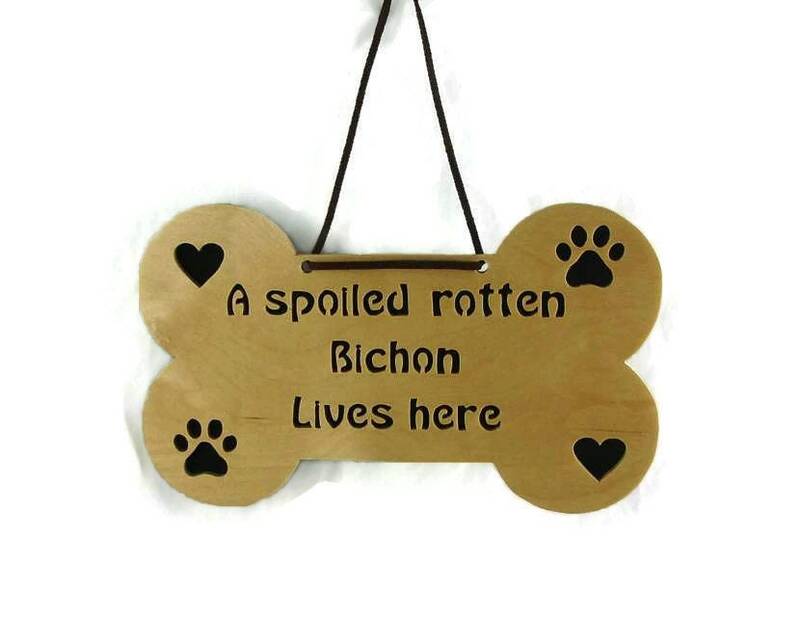 If you or someone you know has that spoiled rotten pet, specifically the Bichon bread then this wall hanging plaque / sign is the perfect gift to get yourself or the special person you know. This Bichon dog bone shaped wall hanging plaque / sign features the phrase " A Spoiled Rotten Bichon Lives Here " cut out as well as hearts in opposite corners, and pawprints in other opposite corners. 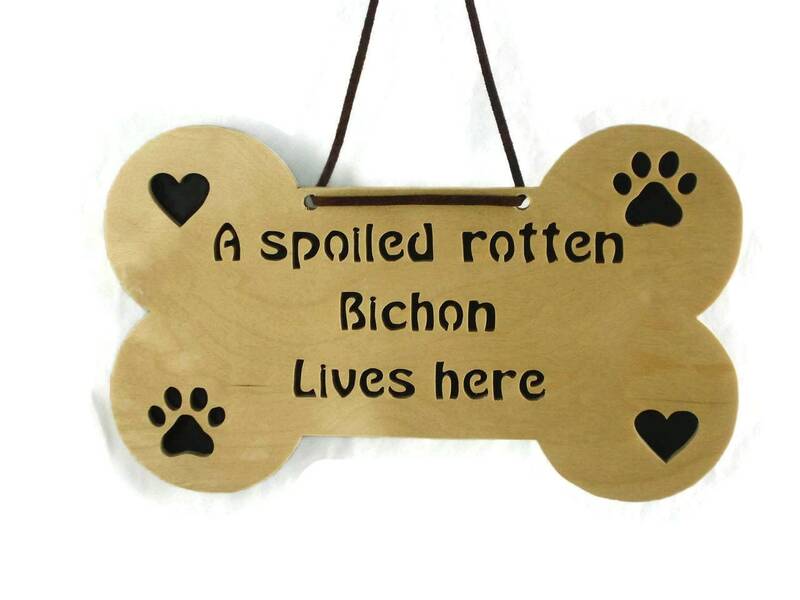 This Bichon bone shaped plaque was cut out by hand ( handmade ) using a scroll saw. A black foam sheet backer was glued to the back to bring out the details of the cutting. Three coats of Polyurethane clear spray finish was applied for protection. A suede rope hanger is added for easy hanging on your wall. 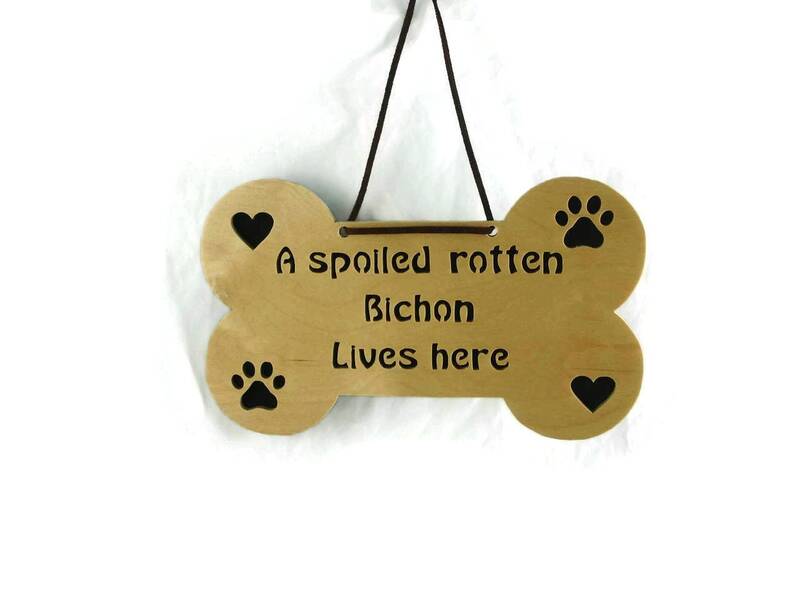 This measures approximately 7 x 10 inch, and 3/8 inch thick.